Mix the green beans, cream of mushroom and milk. Pour the mixture into a baking dish. Place the dish in the oven for 20 minutes or until it begins to bubble. 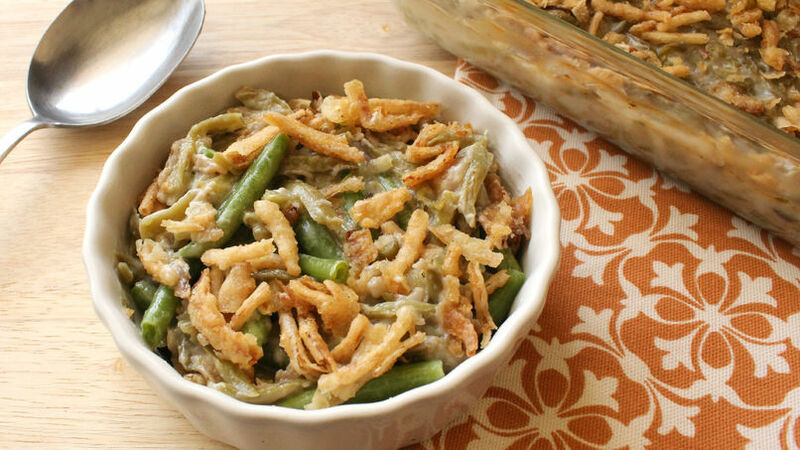 Cover the green beans in fried onion and bake for 5 more minutes. Add fried bacon at the end as garnish to give the dish even more flavor. I love getting together with my friends and family for Thanksgiving to enjoy a delicious feast. One of my favorite sides to serve with turkey are green beans. This recipe is very simple, but it’s a very important part of the tradition. I hope it becomes part of your menu this year.